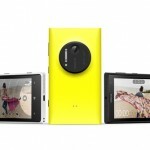 Gadget Unit | Is Lumia 1020 Any More Than Just An Awesome Camera? 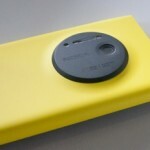 Is Lumia 1020 Any More Than Just An Awesome Camera? The Lumia 1020 is one of those devices that screams innovation. Nokia has introduced an astonishing 41-megapixel camera along with a host of new features, both in terms of hardware and software. But on the other hand, the Lumia 1020 comes with the Windows Phone platform, which is not growing as fast as Nokia wants it to, as it has come out and said just that last week. The Lumia 1020 price is most likely going to be around Rs 35,000, and as such it goes against the likes of the Galaxy S4. Does this smartphone have what it takes to sell well? Is the camera alone to justify buying the device? Let’s find out. Although the Lumia 1020 has a powerful camera attached to it, it’s still surprisingly thin and elegant, measuring in at 10.4 mm thick. It comes in three colours: black, white, and bright yellow. The body is made out of polycarbonate material that Nokia has been wont to use in its Lumia devices. The result is a device that looks great, and one that feels comfortable to hold and use. On the back, on the white and yellow versions, the camera is dominant. It takes up most of the right side of the back of the phone. Though the powerful camera is obvious, this isn’t a bad thing. The overall look is that of a flattened, modern point-and-shoot camera which is great. Nokia has done a remarkable job of ensuring that the device does not suffer from its design in any way whatsoever. The camera on the Lumia 1020 takes visually stunning images. It has 41 megapixels, while most phones out right now have 8 or 13 megapixels. 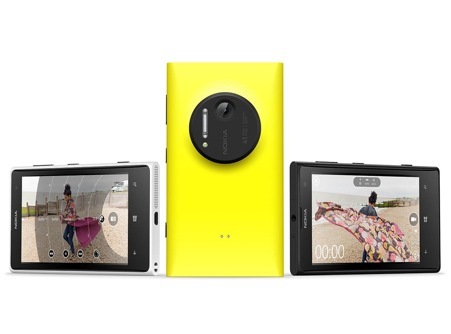 There is no other smartphone on the market with a megapixel count anywhere close to the Lumia 1020. 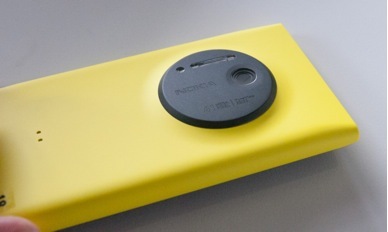 The Lumia 1020 also has higher megapixel counts than most point-and-shoots and many DSLR cameras. It has in fact been tested that the Lumia 1020 does a better job at taking images than a Canon EOS 6D. If you are an aspiring photographer, the camera alone could make this phone the ideal phone for you. It’s not just the megapixel count that makes the camera experience on this device amazing. The phone has six lenses and comes pre-installed with top-notch photo handling software. Users have a lot of control over things like shutter speed and ISO levels using an app called ‘Pro Cam.’ Furthermore, this app takes two photos at once for the user, one of which is a lower resolution so the picture can be easily shared and a full resolution image that users can access by connecting the device to a machine. As far as other specs go, the Lumia 1020 has a Snapdragon dual-core processor, clocked at 1.5 GHz. It has 32 GB of internal memory, which is essential for storing all of those high-resolution images, along with 2 GB of RAM, which is a great sign. The device comes running Windows Phone 8. The Lumia 1020 has a 4.5-inch HD+ display, with a resolution of 1,280 x 768 pixels. It also has a 2-megapixel front-facing camera for video chatting. The device comes with a 2,000 mAh battery and a myriad of connectivity features, including Wi-Fi, Bluetooth 3.0, GPS, NFC, and Qi Wireless Charging. The camera offers a user experience that is currently unmatched by any other smartphone, and many cameras, on the market. If you are sick of carrying your phone and your camera around, the Lumia 1020 is the ideal solution. You won’t be missing anything, since the Lumia 1020 takes better pictures than most point-and-shoot cameras. For the average user, a dual-core processor won’t be that big of a deal. The device does have 2 GB of RAM, which is more than any other Windows Phone to date. And Windows devices do not need as much RAM as Android devices do, as memory is very well utilized. The fact that the device runs Windows Phone may be construed as a problem by many. The lack of Instagram is still heavily felt by users, and it is often touted as the main reason to not get a Windows Phone device. Be that as it may, the platform itself is great and has its own cache of unique content. It is very different from Android and iOS, and looks very striking. At this stage, it is clear that all platforms have their own advantages and drawbacks, and the Windows Phone’s lack of content is just one drawback that does not take away from the many great things going in its favour.